GEB PCIe Fpga card is the flexible solution to interface many equipments to a PC. To make it easy, a two pieces solution has been applied, splitting the interface on two boards paired in a sandwich, by a santa cruz header connectors. 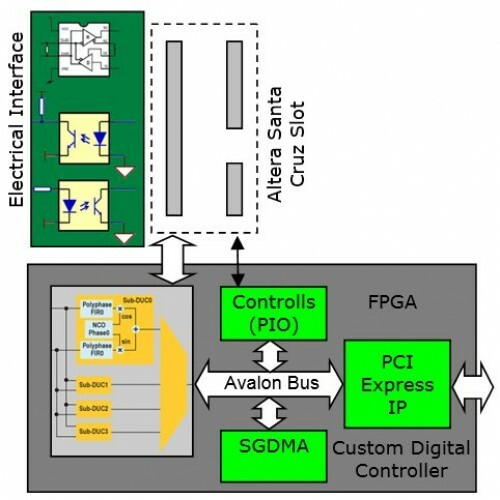 The board, PCIE FPGA, will achieve logic function, appropriately programmed it will host the protocols of interface, standard or customized to the application. 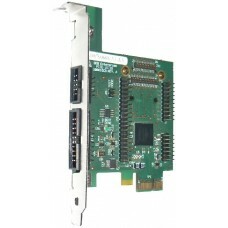 The santa cruz connector, using short header terminals, allows to put the boards sandwich in a single PC slot.